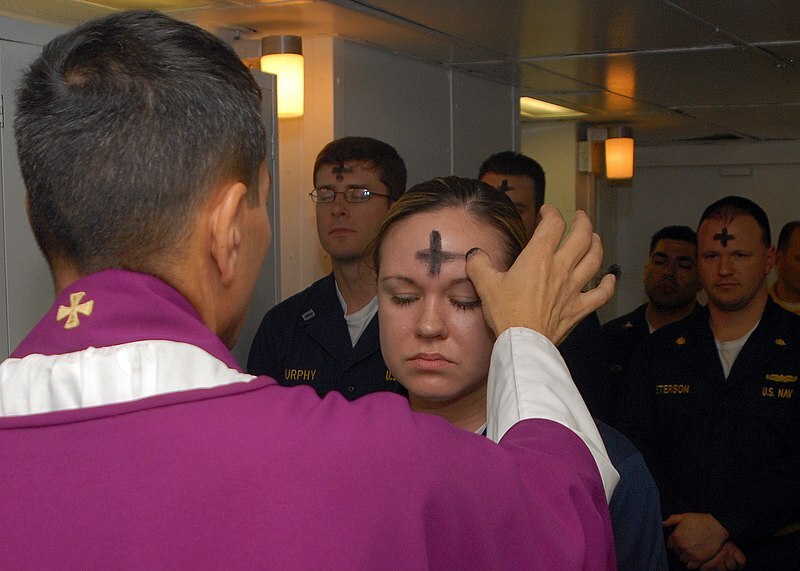 On Ash Wednesday in many churches around the world Christians will have ashes placed on their heads as they enter into the season of Lent. But why ashes? What do they symbolise? It is common knowledge that in the OT ashes (along with sackcloth and sometimes dust) were used when in some way or another the chips were down. The first reference like this is to Tamar in 2 Samuel 19 who, having been raped by Amnon, tears her ornate robes and puts ashes on her head. But even before this Abraham acknowledges his unworthiness to intercede to God in Gen 18. There are several other references throughout the OT: is it possible to tease out the symbolism and understand more clearly what we are saying by what we do on Ash Wednesday? The first reference is to mortality. To put it bluntly, that’s how we’re all going to end up. ‘Remember that you are dust, and to dust you shall return’ says the minister as ashes are administered, just as God spoke to the fallen Adam and Eve. Don’t get any ideas above your station, because at the end of the day you’re going to end up the same as everybody else. The Christian gospel, of course, tells us that this isn’t actually the last word, but it never does any harm not to think more highly of ourselves then we ought, and to remember that without the breath of God in us we’re nothing at all. Tied in with this is the motif of poverty. Hannah recognises in her outpouring of praise in 1 Samuel 2 that the ash-heap is the place where the needy find themselves, among the spent residue of life that has no further use or purpose. God alone is able to raise people from the ashes and restore them, as Job was to discover when God did just that, taking him from the ashes where he sat and giving back to him much of what had been taken from him. Isaiah echoes this in chapter 61, where the ashes of poverty and devastation ashes will be replaced by a crown of beauty, just as the oil of joy will replace mourning, our third symbol. Mordecai, for example, in Esther 4, learns of the edict that all the Jews are to be annihilated, and shows his deep distress and sorrow by tearing his clothes and covering himself with sackcloth and ashes, a common motif in times of anguish. Sometimes the anguish which calls for ashes comes from what others have done, but our fourth symbol is about distress at what we have done ourselves, when ashes become a sign of penitence. It seems strange to us to show that we’re sorry by putting ash on our heads, but maybe there’s a link to the other motifs: we’re desperately upset because of who we are and/or what we’ve done; we recognise that it has made us poor and useless, and it reminds us that try as we might to live a good life we’re only human and in the end death will get the better of us. So with all this richness of meaning we can understand a bit more clearly why Isaiah has such a down on insincere penitence. ‘Is this the kind of fast I have chosen?’ he asks, ‘for lying on sackcloth and ashes’ whilst continuing in the very sins for which we evidently have not an ounce of sorrow or penitence, and which we only pretend to be upset about (58:5). Real penitence requires all that ashes symbolise, and not just the ashes themselves. If our sin doesn’t get to us that much, there’s not a lot of point in using ashes as an empty ceremony.